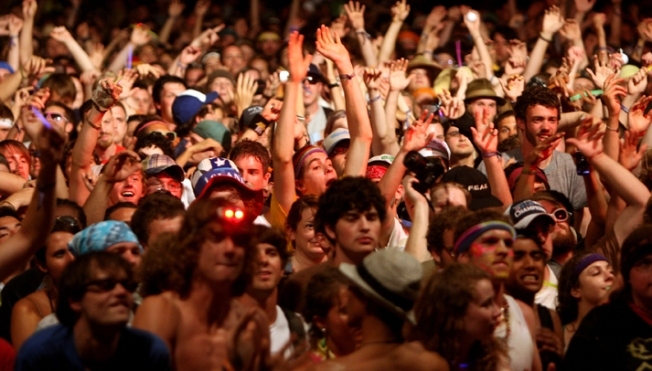 A second person has died at the massive Bonnaroo Music Festival in Tennessee. Coffee County Sheriff Stephen M. Graves said Monday 24-year-old Christopher William Yoder died of hyperthermia early Sunday after being airlifted from the festival to Erlanger Hospital in Chattanooga. The sheriff said he is awaiting toxicology reports. Sweltering temperatures and a festive atmosphere are usually givens in the music festival, but with near record-high temperatures in June, many festival-goers had to take it easy. According to USA Today, 46 people had been arrested by the time the festival was winding down on Sunday. Bonnaroo organizers released a statement saying, "The safety of our patrons is our No. 1 concern, and we are deeply saddened by this." On Thursday, the body of a 32-year-old woman was found inside a tent at the festival. An autopsy is to be performed. Last year, two people died from heat related illnesses, The Tennessean reported. The 10th annual festival, with 80,000 attendees, was Thursday through Sunday at a 700-acre farm. A wide variety of acts, featuring everyone from Eminem to My Morning Jacket performed. A band called Widespread Panic closed this year's festival.